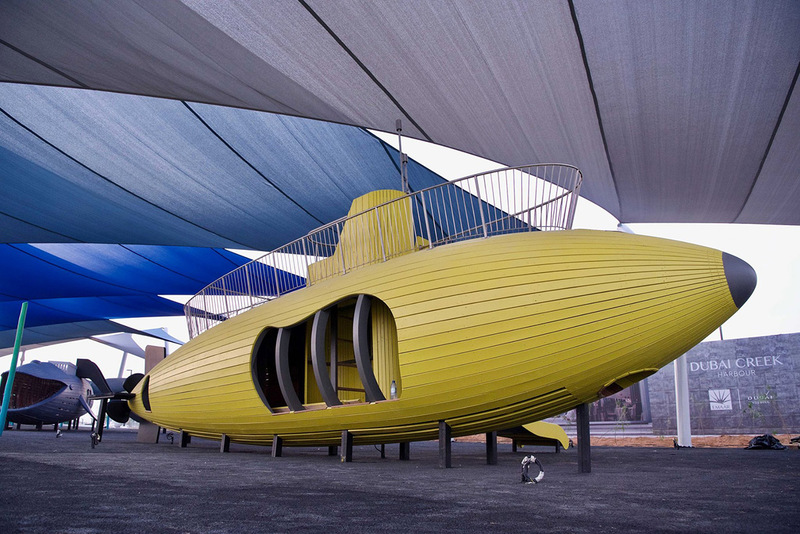 For the last several years, Danish design firm MONSTRUM (previously) has constructed wildly imaginative playscape features for playgrounds around the world with an intense focus on both artistic and architectural quality. The playgrounds are designed and built locally in their large studio just outside Copenhagen and then shipped in components to sites around Denmark, Sweden, Russia, and even Dubai. The design studio has a strong background in theatrical set design which lends itself to their thematic playscapes, one of our recent favorites being the “Justin Beiver” playround in Partille, Sweden. Collected here is a sampling of designs from the last few years, but you can see more on their website. In 2005 Kito Fujio quit his job as an office worker and became a freelance photographer. And for the last 12 years he’s been exploring various overlooked pockets of Japan like the rooftops of department stores, which typically have games and rides to entertain children while their parents are shopping. More recently, he’s taken notice of the many interesting cement-molded play equipment that dots playgrounds around Japan. The sculptural, cement-molded play equipment is often modeled after animals that children would be familiar with. 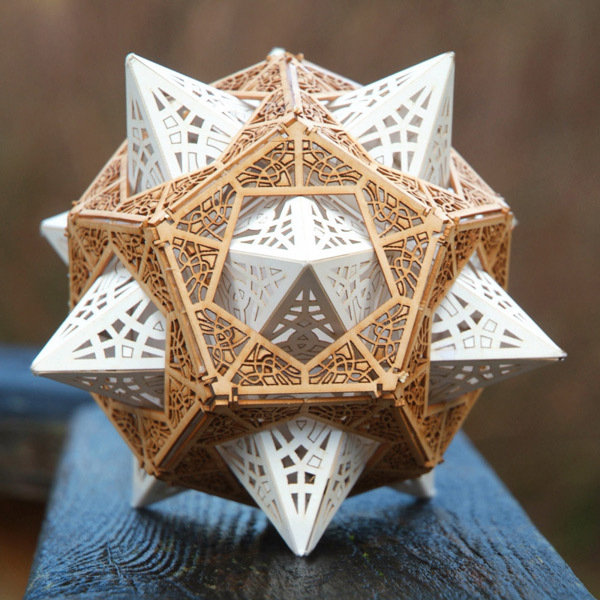 But they also take on the form of robots, abstract geometric forms and sometimes even household appliances. Fujio’s process is not entirely clear, but it appears he visits the parks at night and lights up the equipment from the inside, but also from the outside, which often creates an ominous feel to the harmless equipment. Speaking of harmless, the nostalgic cement molds have been ubiquitous throughout Japan and, for the most part, free of safety concerns. That’s because the cement requires almost no maintenance; maybe just a fresh coat of paint every few years. The telephone (pictured below) is evidence of how long ago the equipment was probably made. The sculptural cement equipment was a style favored by Isamu Noguchi, who designed his first landscape for children in 1933. Many of his sculptural playground equipment can be found in Sapporo but also stateside at Piedmont Park in Atlanta. 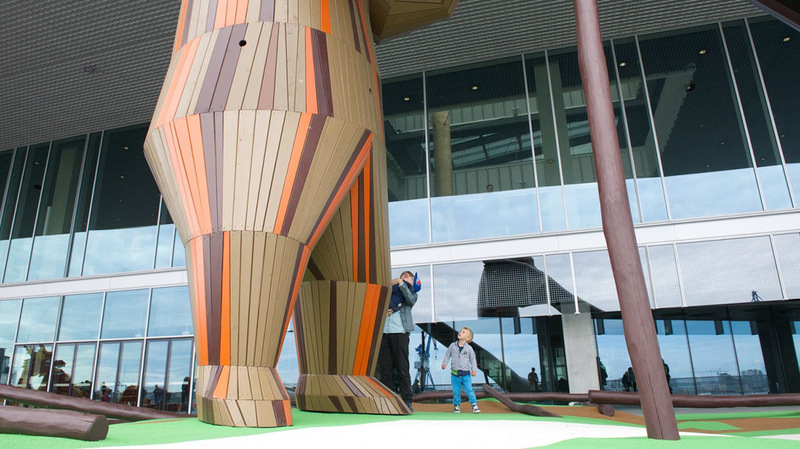 Dutch artist Florentijn Hofman (who previously produced this oversized bunny in Taiwan) has unveiled his newest large-scale animal design, this time with the function of a playscape for Vanke Group's One City development in the centre of Yantian, Shenzhen. The playground is designed within the eight legs and head of an octopus, a piece that is named after the mythological sea creature Kracken despite its friendly appearance. 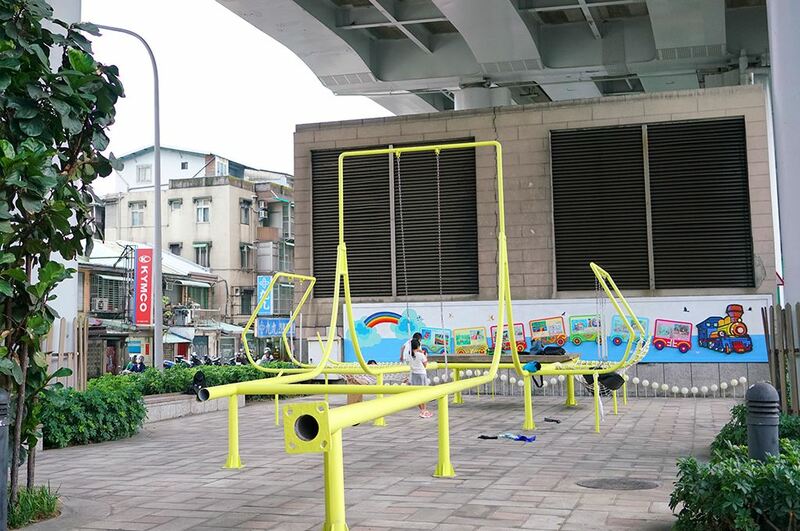 From the mass of Taipei’s urban waste comes the project “Swings Park,” a public playground area constructed from dozens of unwanted lamp posts. 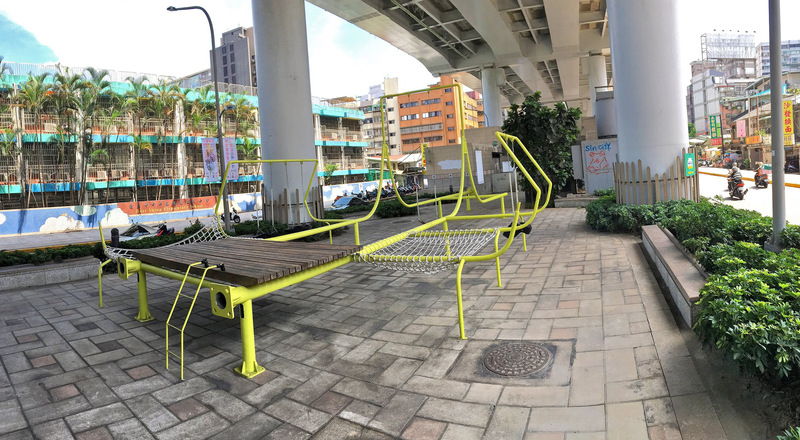 The project is a collaboration between Taipei-based design studio City Yeast and Spanish art collective Basurma, two groups that aim to produce experimental design as positive activations for a city’s infrastructure and its residents. Fabricated in response to Design Capital 2016, the project was one of six selected proposals from the contest whose mission is to provoke urban evolution through public design. 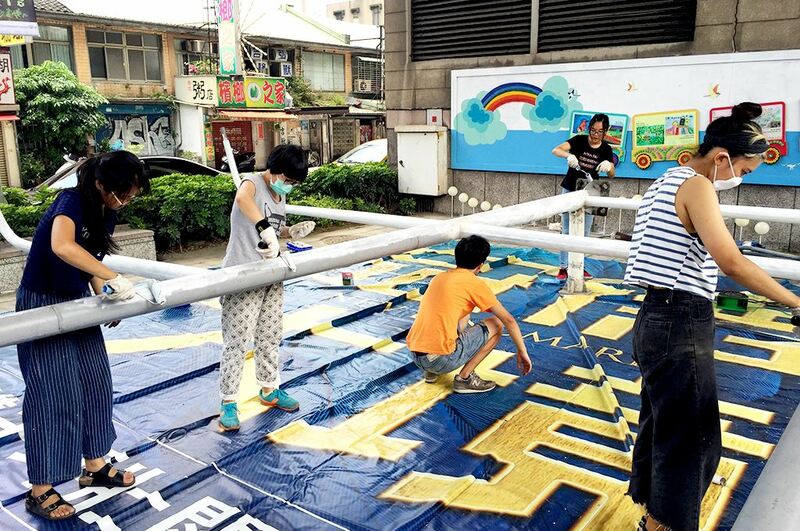 The playground, located directly below one of the city’s busiest overpasses, is painted bright yellow—a way to break from the monotony of the surrounding architecture. In addition to swings built at four different heights, the structure also includes a multifunctional platform and two hammock-like nets, providing areas for both activity and respite. Housed in the former home of the 10-story International Shoe Company, the sprawling 600,000 square-foot City Museum in St. Louis is quite possibly the ultimate urban playground ever constructed. The museum is the brainchild of artist and sculptor Bob Cassilly who opened the space in 1997 after years of renovation and construction. Although Cassilly passed away in 2011, the museum is perpetually under construction as new features are added or improved thanks to a ragtag group of 20 artists known affectionately as the Cassilly Crew. 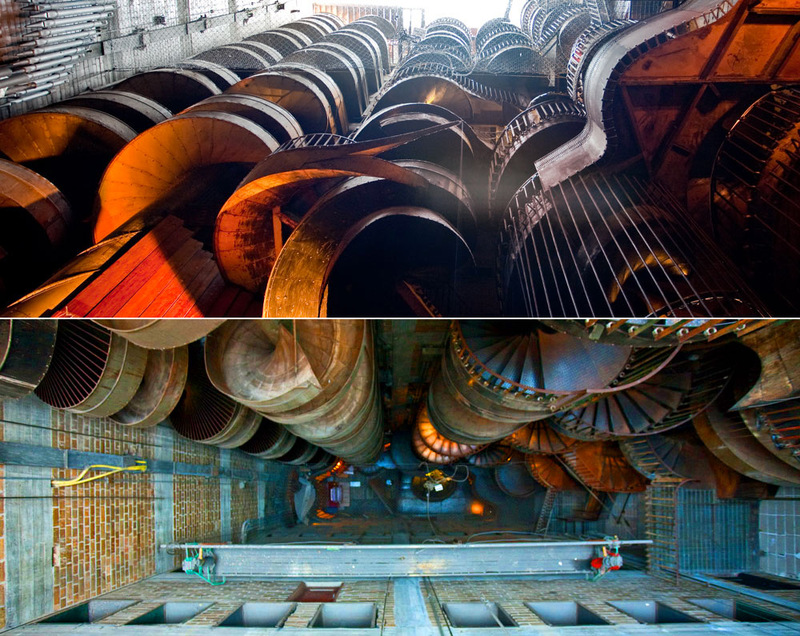 So what can you find at the City Museum? 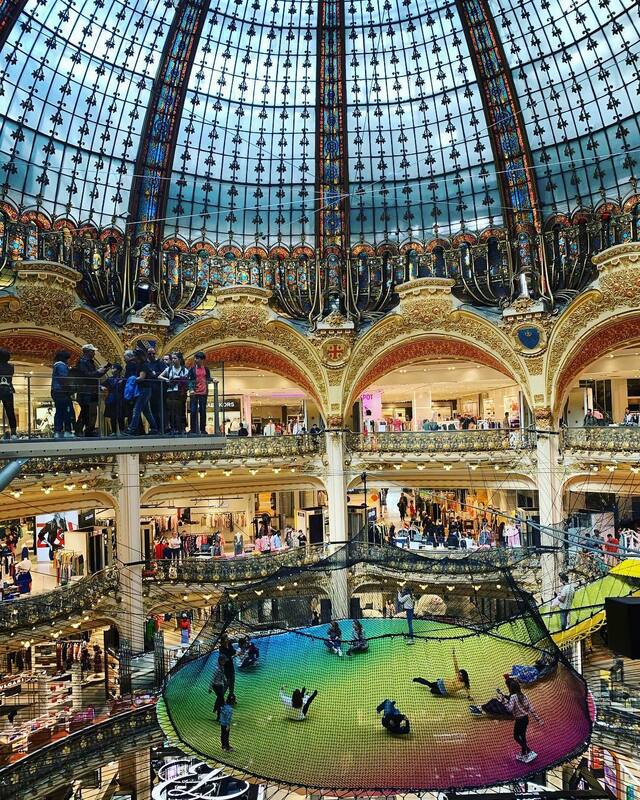 How about a sky-high jungle gym making use of two repurposed airplanes, two towering 10-story slides and numerous multi-floor slides, a rooftop Ferris wheel and a cantilevered school bus that juts out from the roof, subterranean caves, a pipe organ, hundreds of feet of tunnels that traverse from floor to floor, an aquarium, ball pits, a shoe lace factory, a circus arts facility, restaurants, and even a bar… because why not? All the materials used to build the museum including salvaged bridges, old chimneys, construction cranes, and miles of tile are sourced locally, making the entire endeavor a massive recycling project. 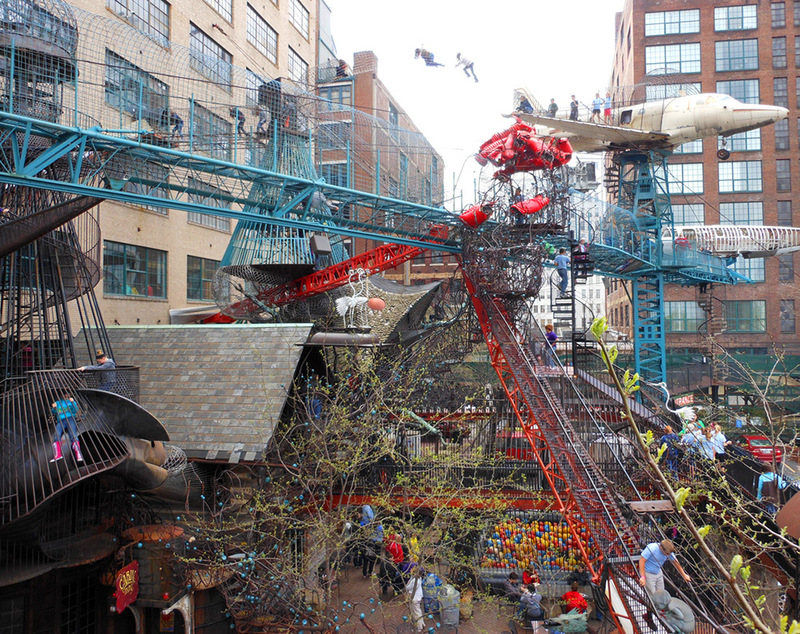 If you have kids (or are a kid at heart) and live in the midwestern United States or have any other means to get to St. Louis, if you aren’t immediately planning a trip to City Museum, you’re missing out on life. On my first visit last year our family hardly left the museum for two days. It is the complete antithesis to commercialized theme parks like Disneyland.